When dealing with an audience of developers, you’re more than likely going to be managing where ad-blocking is a reality, so how do you do it? 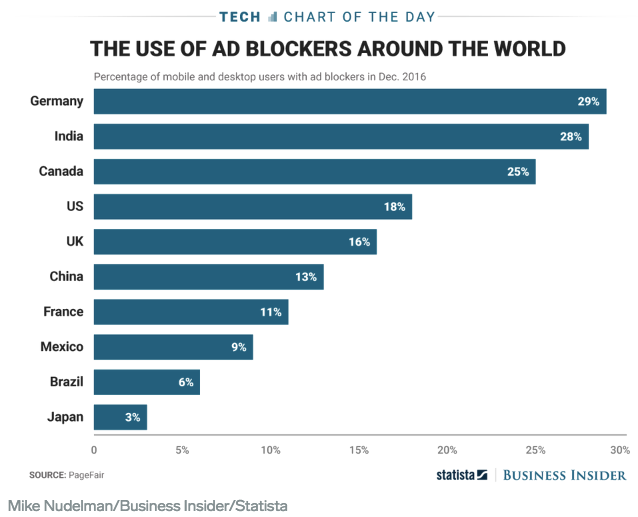 Ad-blockers have become a part of everyday life for a large number of people, even Google is getting in on the game (Business Insider). More and more people are installing various forms of ad-blocking tech, and its recent growth is impacting both publishers and advertisers alike. When dealing with an audience of developers, you’re more than likely going to be managing where ad-blocking is a reality, how do you do it? Content marketing is now more important than ever. Over 91% of B2B marketers utilize some form of content marketing, and some studies show that it’s actually MUCH more cost effective than traditional marketing. As in 62% more cost-effective… Below are some tactics you can use to get started with content marketing that will complement your other advertising efforts. One of the first things people think of when looking at content marketing is creating a blog. By leveraging the knowledge and expertise of people within your organization, you can begin building a library of quality content, building audience trust and letting them know that you’re the authority in the market. A blog does more than just allow you to showcase your knowledge. If used correctly, it can actually increase your ROI. According to Forbes, by targeting a specific audience, including share buttons, and using engaging images and videos, you can make your blog the backbone of a majority of your marketing efforts with re-usable content across various other marketing campaigns, reducing the overall workload on your team. Podcasting may be the latest fad, but is it right for your business? It’s a strong form of content in a fairly small demographic, but if you believe your audience would benefit from listening, it could be the right way to build confidence in the idea of your business being a thought leader in the industry. It doesn’t have to be daily either, it can be weekly or monthly. The cadence of a podcast should be based on the need of the audience and the availability of relevant content. Your podcast could be highlighting your customers, interviewing industry leaders, or showcasing your new products and features. Graphics, videos, and other pieces of content are important too. Multimedia content is more likely to be shared and it’s a simpler, faster way for your audience to get the information they want. Different people prefer their content in different formats, so focusing on only one or two types will not be as appealing to some audience segments as you would like. Videos have the potential to be one of your best tools. People connect with faces, not words, so it’s important to have your videos feature real people, not just animated figures with a voiceover. A major key is to keep your videos short. 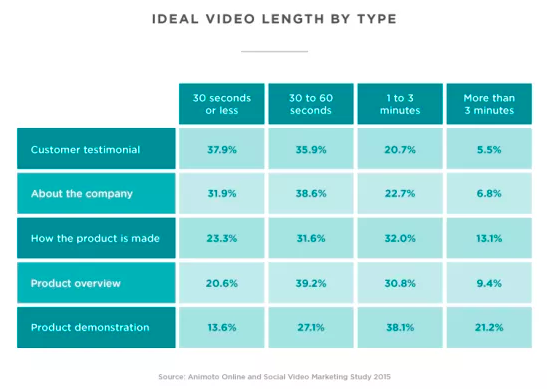 Less is more in the video world and the more efficient you are, the more engaged your audience will be (Animoto). These are typically long-form content that can add value to your marketing strategy through gated content. In fact, most B2B decisions revolve around these types of content followed by referrals (Gartner). White papers and eBooks give your space to communicate with your audience and show more value than any other type of content. Creating a research report or being featured in a major publication will also drive traffic from a PR standpoint. If your product is featured in a Gartner report, a DZone Research Guide, or any other major publication, you’ll be positioning your brand and product as a leader in your space. While you work on your content marketing strategy, remember every channel you can use and start picking the tactics that work best for you. By creating content, not ads, you’re eliminating the roadblock of ad-blockers, and paving a clearer path to success.